Seneca Lake boasts an incredible concentration of award-winning wineries. 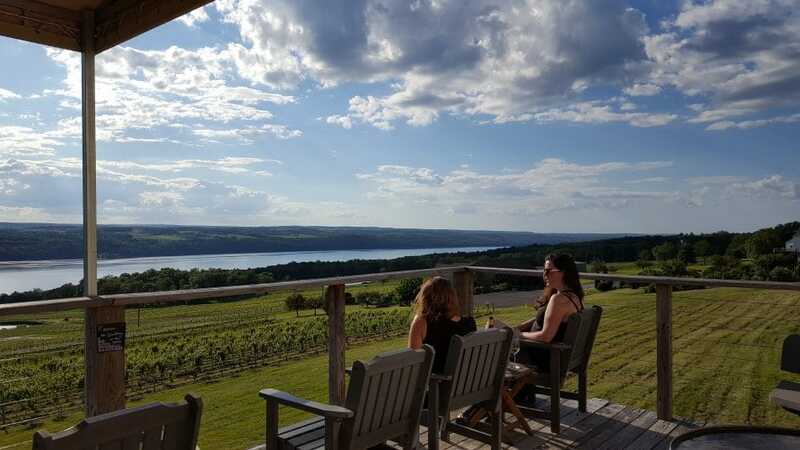 In fact, it is home to more wineries than any other lake in the Finger Lakes (over 60… and counting!) Our region is renowned as one of the premier cool-climate winemaking regions in the world, boasting the ability to grow a wide array of grapes from Riesling to Pinot Noir. You can find everything from dry to sweet wines, port, and a specialty of cool climates – ice wine! Alongside the many wineries, craft breweries have filled a niche all their own and the beer business is booming! Enthusiasts can try hand-crafted pale ale, amber lager, or any number of specialty offerings at one of the many microbreweries in the region. The Watkins Glen area is also home to the region’s first standalone distillery, Finger Lakes Distilling, and recently, hard cider production has taken off. The diversity of our offerings speaks for itself. Tasting your way through the Finger Lakes has never been more delicious! Watkins Glen State Park, in the heart of downtown Watkins Glen is the largest outdoor attraction in the region and is considered one of New York State’s “flagship” parks. It was also voted the #3 state park in the country in a USA Today Readers’ Choice Poll. Along the Gorge Trail, you’ll see 19 waterfalls within two miles. 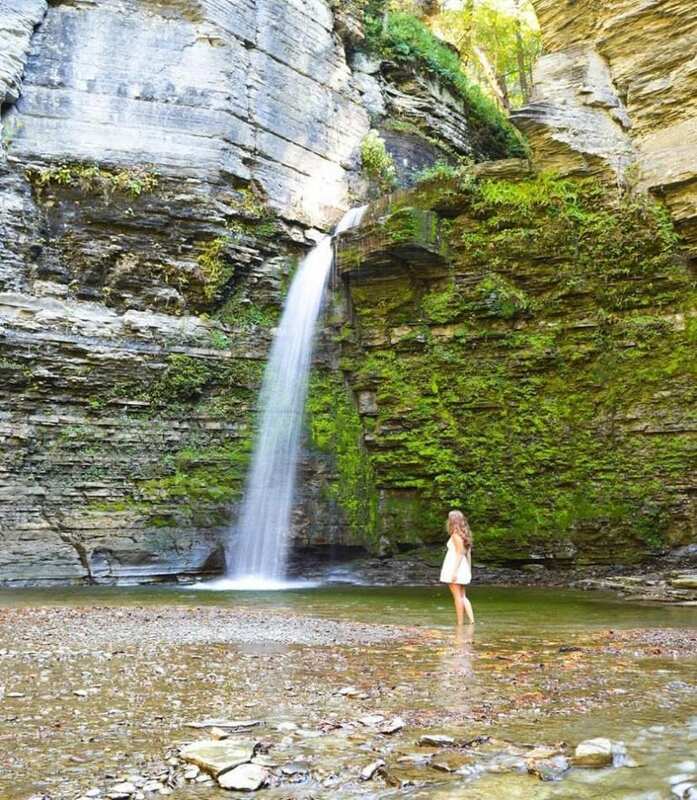 Beyond Watkins Glen State Park, there are many other waterfalls to see and experience. Others to add to your list include Deckertown Falls, Excelsior Glen, Eagle Cliff Falls, and Twin Falls. There are even a few that require no hiking at all including Aunt Sarah’s Falls, Shequaga Falls, and Hector Falls. Get your camera ready, you won’t want to miss the photo ops at every turn! Here in the Finger Lakes, there is a trail fit for every activity and experience level. On the easy end of the spectrum, the Catharine Valley Trail is a year-round recreational trail that accommodates walking, bicycling, cross country skiing, and snowshoeing through the glacially-carved valley south of Seneca Lake. It is easy to access and even dog-friendly. A great place to enjoy fresh air with the family! Just 7 miles west of the village of Watkins Glen, you’ll find Sugar Hill State Forest, which covers approximately 9,085 acres and offers an abundance of recreational activities, plus camping, five lean-tos, a fire tower (which you can climb for a beautiful view), and a picnic area. There are miles of trails for hiking, snowmobiling, and horseback riding. Camping is also available on a first come, first serve basis. The Finger Lakes National Forest is nestled between Seneca and Cayuga Lakes, just a short drive north of Watkins Glen. It is the only national forest in New York State, one of only three in the Northeast, and it is expansive – covering 16,032 acres. Diverse trail experiences will lead you through forests, pastures, past creeks, and even near gorges with waterfalls all their own. If you’re looking to get off the beaten path and away from the crowds, the Finger Lakes National Forest is for you! Travel is all about experiencing new things and there is no shortage of friendly, welcoming professionals to ease you in to a new skill or unfamiliar territory. Climb aboard a horse at Painted Bar Stables, and take in the beautiful Finger Lakes countryside from horseback. But don’t just take our word for it. Read about blogger Sharon Mendelaoui’s first-time experience, and you’ll find yourself dialing to book your ride! If you’re looking for something a bit more adrenaline-pumping, check out the Drive the Glen program at Watkins Glen International. This is your opportunity to drive where the pros drive, on this world renowned road course. Don’t worry, no racing experience required! You’ll take your own vehicle onto the track and enjoy three paced laps, including a photo op at the start/finish! Here in Watkins Glen and Schuyler County, we are lucky to be surrounded by rich, fertile farmland. Our local farmers open their doors and welcome you to experience the beauty and bounty of the Finger Lakes! 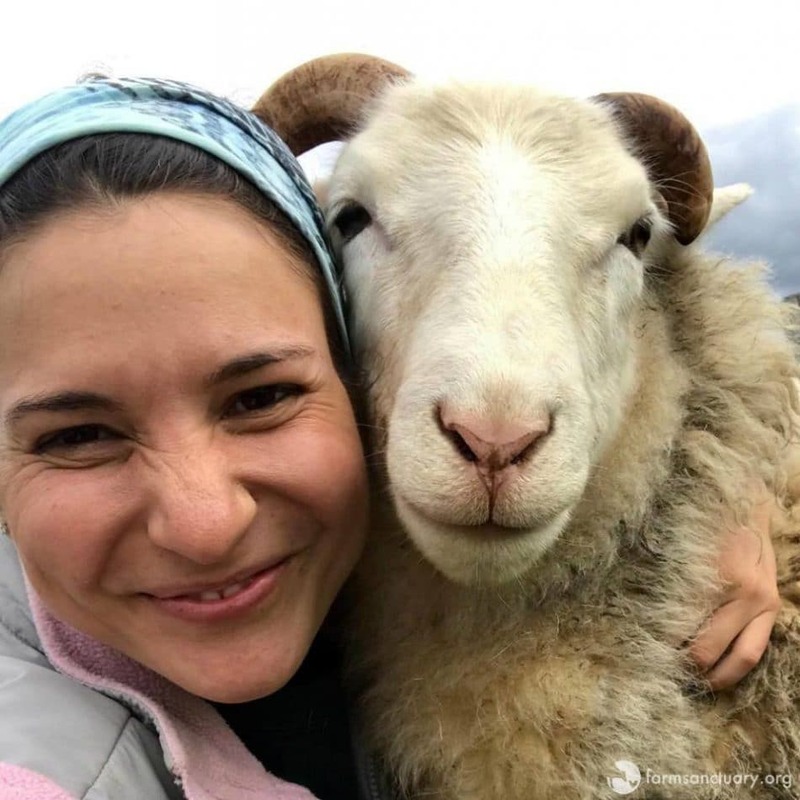 Pluck an apple from a tree at family-owned and operated Reisinger’s Apple Country, forage for woodland mushrooms, visit with rescued farm animals at Farm Sanctuary, tour a century-old working dairy and taste farm-fresh cheeses at Sunset View Creamery… the list goes on. No matter where you stop, you will love experiencing the tradition of our family farms and the passion of our communities. So, there you have it, 5 great reasons to extend your trip to #myFLXtbex – and this is truly just scratching the surface. By now you’re probably thinking, this would make a great family trip, romantic escape, or girlfriends getaway – and you’re correct… on all fronts! Hey, a little learning, and a lot of fun… right?! Make the most of each moment and have a great time in Finger Lakes, New York. We’ll see you in September! Brittany Gibson is the Tourism and Marketing Manager at the Watkins Glen Area Chamber of Commerce and a lover of ALL things #FLX. When she’s not at her desk you can find her exploring the region, checking out local events, and eating tons of local food with her husband Sheldon. Register for TBEX North America 2018, and join hundreds of travel bloggers, content creators and travel influencers for two full days of educational breakout sessions and speed networking with dozens of travel brands. Your registration also includes access to the Opening and Closing Night Parties, a Pre-BEX Tour, and entrance to all other official #myFLXtbex sponsored events. Find complete details on the Event Page. So excited to return to the Watkins Glen region. Confession: I was there for the wild concert back in the 1970’s (when I was really too young to be out of the house!) Watkins Glen is magnificent, and overlooked too often. Just returned from a farm stay outside of Quebec. That blog post is up and I hope to post & film at the Farm Sanctuary in your region as well. Amazing pictures. Even if some of the beach resorts are near the city they are still beautiful. thanks for the information. it’s very helpful for us.